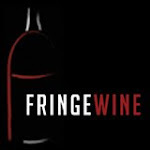 Ever since my friend Enrico (expert in ampelography) posted on fb a link to your blog I have become a fan of it: excellent idea concentrating on particular - "fringe" - wines and the reviews are just superb. So I was quite astonished to read here: "this wine is dry, but it tastes a little sweet, either because of the strong fruitiness or because there may just be a touch of residual sugar here." Sparkling wine labeled "dry" does contain always residual sugar, actually quite a lot, according to the Italian legislation between 17g/l and 32g/l. So one shouldn't be surprised that "dry" in sparking wine (any Champagne or Charmat, it's all the same when it comes to residual sugar). If you want to drink "dry" (in the sense of not containing any residual sugar) you have to opt for a bottle saying "brut nature" or "pas dosé" where actually only up to 3g/l residual sugar is allowed. Next levels are "extra brut" (residual sugar between 0 and 6g/l), "brut" (less than 12g/l), "extra dry" (between 12g/l and 17g/l) "dry"(between 17g/l and 32g/l, which is actually quite a lot of sugar), "medium-dry" or "demi-sec"(between 32g/l and 50g/l)and finally "doux" or "sweet" with more than 50g/l. Thanks for your comment. I have a few responses. 1) This wine isn't Italian and I don't live in Italy, so the Italian regulations aren't much help here. Further, the word "dry" doesn't actually appear on the front label, but rather in the description on the back, which, as far as I know, isn't subject to any kind of regulation. That's all I was referring to when I said that "the bottle says the wine is dry." 2) I'm aware that most sparkling wine is bottled with some residual sugar, and, further, that a lot of table wines have a touch of residual sugar as well. In a lot of cases, this sugar falls under the human threshold for detection, meaning that wines with some sugar left over will still taste dry. 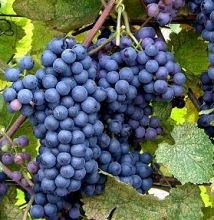 Other factors in the wine, such as acidity level and alcohol level, can affect the perception of sweetness, with acid acting as a damper on acid perception and alcohol acting as an amplifier. Residual sugar is rarely the whole story with dryness because dryness is a perception and not an absolute category and when most wineries/marketers use the word dry, they don't mean 0% sugar, but rather that the wine doesn't _taste_ sweet. The point I was trying to make is that the wine is _marketed_ as dry, not officially labeled as such, but my personal experience led me to think that there was more residual sugar than the winery was letting on. If they had indicated a dryness level on the front label, then we'd have a more precise idea of how much sugar there is in the final wine. Since the wine is only indicated as dry on the back, though, there's no telling what the sugar level actually is, and all I was trying to do was to say that I think there's a bit more there than the winery's description would lead you believe. Thank you Rob for setting things right! In particular I think your remark "dryness is a perception and not an absolute category" and "when most wineries/marketers use the word dry, they don't mean 0% sugar, but rather that the wine doesn't _taste_ sweet" can be regarded as some sort of landmarks in this respect. Unfortunately my main point got somehow truncated due to some faulty copy and paste of mine, the whole sentence should read "dry in sparking wine (any Champagne or Charmat, it's all the same when it comes to residual sugar) doesn't actually mean "dry" - if dryness is conceived of no or very little sugar." The usage of the terminology in this regard, and I think I am not mistaken to believe that the scale from "extra brut" down to "semi-doux" is worldwide, reminds me a bit of calling a sausage "meat-sausage" when there is at least some 60% meat in it or, remaining here in Tuscany, calling any olive oil as long as it is bottled in the region of Tuscany "olio d'oliva toscano" even if the oil in actual fact has been imported from Greece. Anyway I recall some real fruity Zweigelt last winter in Souyh Tyrol, from a small farm some 800m high above the Eisack valley (valle d'Isarco), the place is called "Foeranerhof" on the high-plateau of Ritten.